Cost of Quality PowerPoint templates, backgrounds Presentation slides, PPT Themes and Graphics. Download Cost of Quality PowerPoint template and dominate with a strong hold over the market. Add our amazing layouts in your presentations and explain the definition of Cost of Quality to your colleagues and teammates in a lasting and easy to understand manner. Explain the related topics such as cost management and quality management with help of creatively designed dashboards. Educate your team and colleague about the latest methods of calculating Cost of Quality and creating spreadsheets to explain the same. You can also share the formula used to calculate the same using different methods. You can include ideal examples of how organizations have benefited by calculating their cost of quality. Including metrics used for the same process can benefit your audience in better understanding the adopted method of calculation and will give them an idea of how to do so for their organizations or departments. A creative graph representing the cost of quality can improve the overall visual appeal of your presentation and ensure uninterrupted attention of the audience. These templates have been left customizable to ensure that users can edit them after downloading to match the requirements of their PowerPoint presentations. 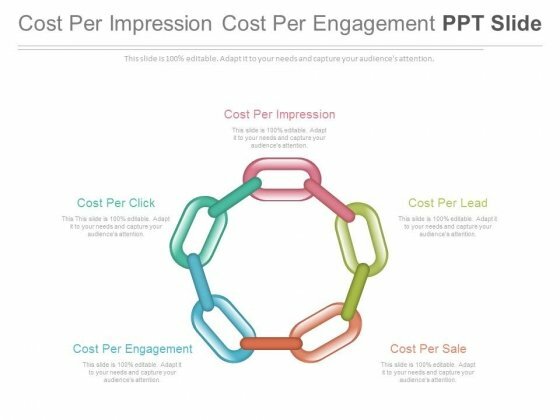 This is a cost per impression cost per engagement ppt slide. This is a five stage process. The stages in this process are business, marketing. Bring all different factions together for you. Our Cost Per Impression Cost Per Engagement Ppt Slide champion camaraderie. Five staged colored arrows have been used to design this business diagram. 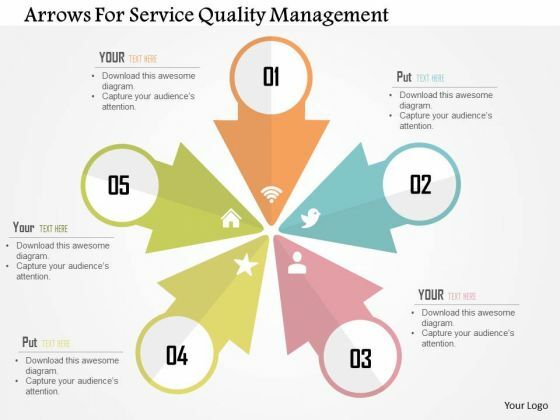 You may download this slide to depict service quality management. Amplify your thoughts via this appropriate business template. This diagram is designed with graphics of text boxes connected with bulb. 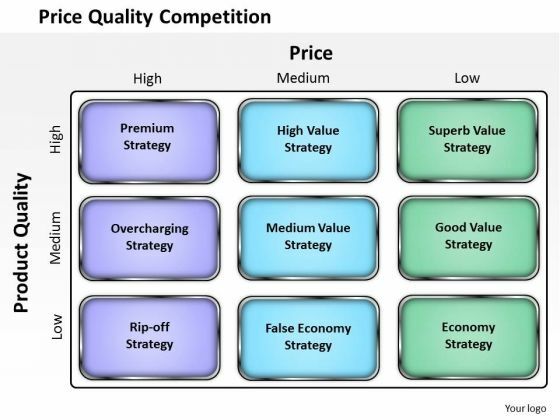 This slide may be use to display ways to improve quality and productivity. Download this diagram slide to make professional presentations.